My name is Nelly and I recently joined BGV as Programme Associate. I wanted to share a little about my professional journey that led me to this amazing opportunity at BGV. Half-French and half-English, I’ve spent most of my life studying and working between France, the US, and the UK. After attending high school in San Francisco, I returned to Europe to study Business and Law, completing my final Masters dissertation on the theory of disruptive innovation at the University of Edinburgh. I spent the next few years working in marketing and sales for startups in a variety of sectors, ranging from tech and consumer electronics, to travel and leisure, in both San Francisco and Paris. When I moved to London a year ago, I briefly rejoined the film industry where I worked on and off throughout high school, but realized I missed the fast-paced and forward-thinking culture of startups. In the hopes of applying my recent startup and business development experiences to a career in social entrepreneurship, I started to explore different avenues within the field, and finally discovered impact investing. I first came across impact investing while talking to a relative; I quickly became fascinated and decided that’s what I wanted to do. I read books, took an online course and met for coffees with as many people in the industry as I could. 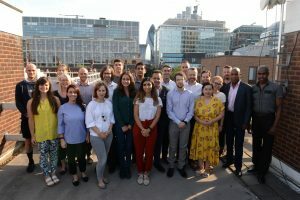 Turns out London is the place to be if you want to get into impact investing. I learned about Sir Ronald Cohen and the Community Investment Tax Relief he recommended in his 2002 report called Enterprising Communities: Wealth Beyond Welfare (highly recommend looking this up!). Eventually this led the government to create a whole range of policies that decisively favoured the development of the impact investing sector in the UK. 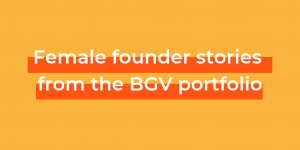 In my job search I came across BGV and was very impressed with their mission to achieve massive social impact by investing in and supporting early-stage tech for good startups. 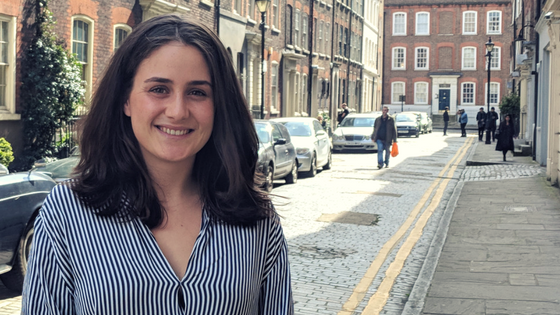 I am absolutely thrilled to have joined the team last month; it’s been hard work but I have already gained a lot from the experience, for example by participating in workshops and mentor meetings. I’ve been spending a lot of time at the Facebook London offices managing the LDN_LAB accelerator programme and supporting seven incredible startups that are leveraging technology to build communities. The buzzing energy of the office is fantastic to be around and the Facebook staff supporting the programme are not only welcoming but very generous with their time and expertise. I am really looking forward to starting the BGV S18 accelerator programme this week and meeting the participating teams. I’m eager to meet and work with as much of the BGV community as I can. If you have any questions or want to grab a coffee and chat about impact investing, let me know!